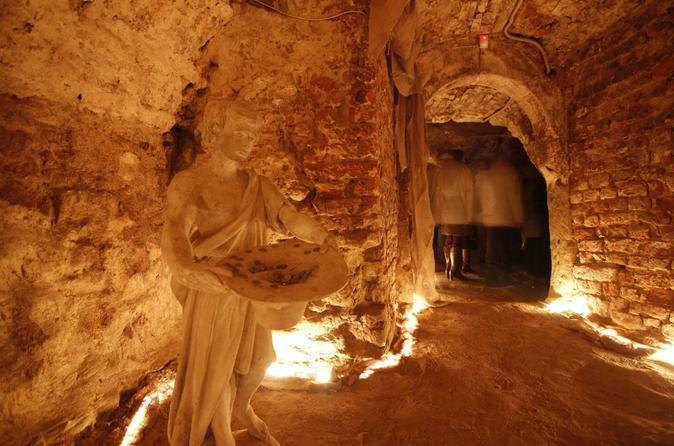 This mystifying 2-hour private walking tour allows you to discover the underground world of Lviv. The winding labyrinths beneath the Lviv Old Town hide plenty of intriguing secrets and mysteries. The local guide will tell you the most striking of them. If you are brave, and ghosts don’t frighten you, you will enjoy this exciting journey! 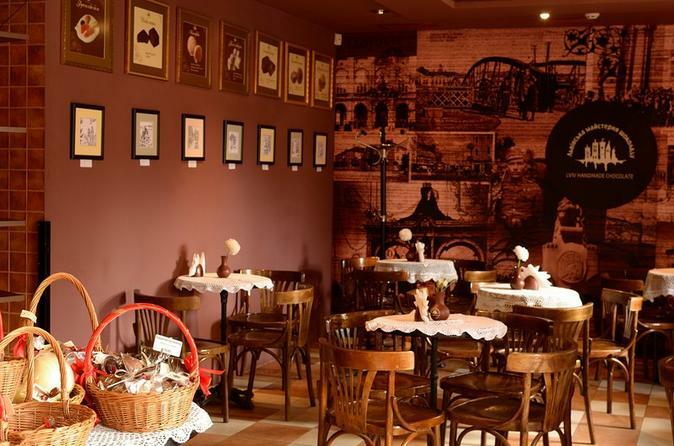 A private walking tour through the well-known coffee shops and houses of Lviv will uncover many affecting traditions and stories related to a local coffee history. You won’t have any doubts about why Lviv is called the Ukrainian capital of coffee. You will enjoy a flavourful and pleasant taste of original coffee and chocolate in one of the cozy coffee houses. Have an unforgettable vacation in one of the most beautiful cities of Eastern Europe! 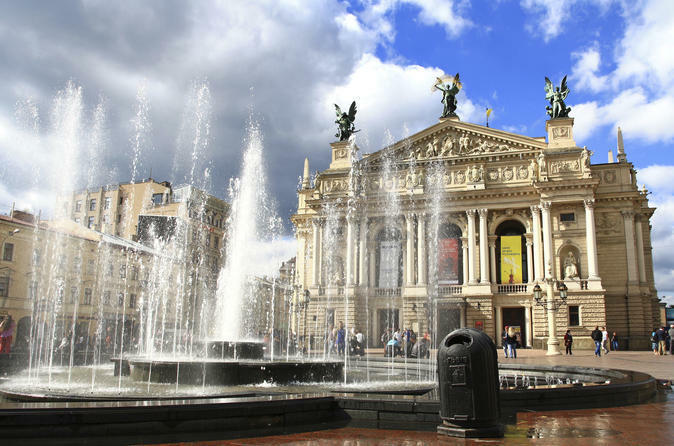 Join an amazing 5-day small-group Lviv tour and discover the best city's attractions. An expert local guide will show you all the most famous and important sights of the city, including the Market Square, the Opera and Ballet Theatre and the High Hill Castle. Your journey to Lviv will be a vacation to remember! 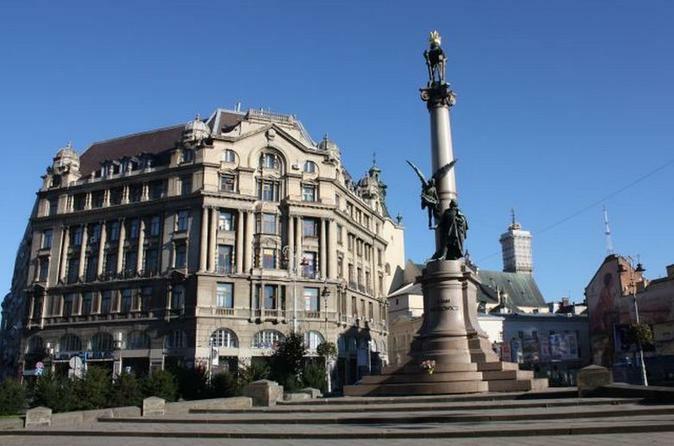 Explore a marvelous city of Lviv on this 3 hour Private Bus Tour. You will pass through the Old Town, visit the most famous attractions, and find the hidden corners of this exciting city, where the spirit of the Middle Ages is still alive. With your friendly local guide, you will explore narrow medieval streets, magnificent palaces and churches from different centuries, popular coffee houses and themed restaurants, and monuments of notable inhabitants who left a mark in the history of the city. If you want to travel back in time and dive into a medieval Jewish town with its legends and jokes, tricks and dramatic stories, then the 2-hour private walking tour of the Jewish heritage is a right choice for you. 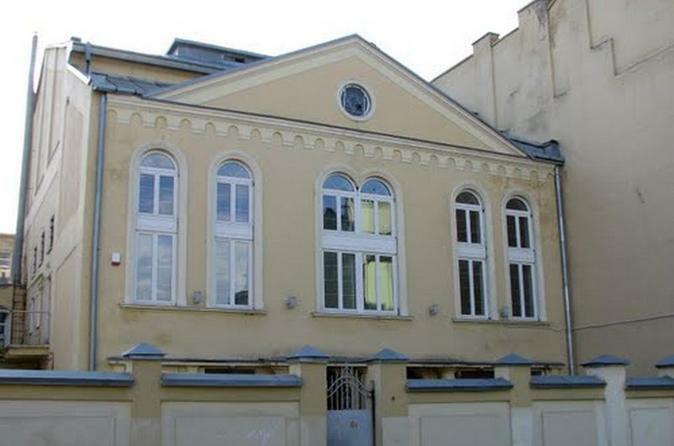 This tour will show you how strongly Jewish culture, its signs and symbols have influenced the architecture and culture of Lviv. You will trace the important facts of the Jewish community from the XIV century until our days. Feel a genuine atmosphere of the Western Ukraine and learn about customs and traditions of the local people on a comprehensive 2.5-hour tour of the open-air museum “Shevchenkivskiy Hai”. Discover the wooden churches and old traditional houses with cosy gardens; walk through the narrow streets of the museum with an expert guide and enjoy this pleasant excursion. Make a fantastic private journey to the castles of Lviv region, known as the Golden Horseshoe. You will visit incredible castles - Pidhirtsi, Olesko and Zolochiv that have a great century-old history. Walking around their territory you will enjoy magnificent architectural ensemble and learn about important historic events and famous people who lived in those castles. A fascinating 2.5-hour private walking tour will introduce you to the main sights of the UNESCO-listed Lviv Old Town. You will uncover the story of how the city was founded, how it developed through the centuries, and its famous characters who lived there. 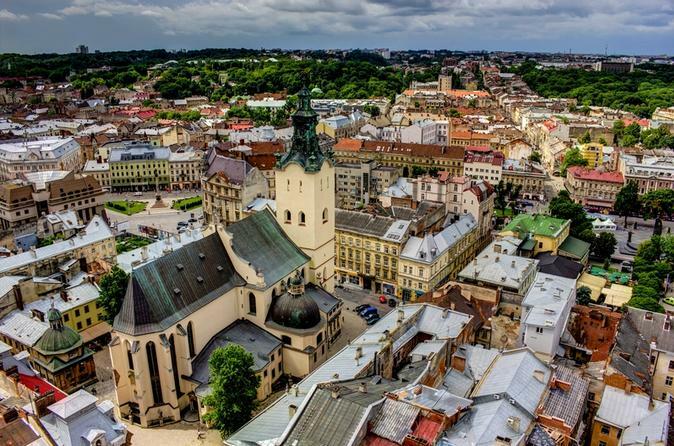 Ancient Lviv will impress you with its splendid architecture and special atmosphere. Narrow streets, gothic facades, centuries-long history, and much more will make this walk an unforgettable experience. While you’re in Lviv, take an opportunity to visit magnificent city of Zhovkva and Krekhiv Monastery on half-day private combo tour! 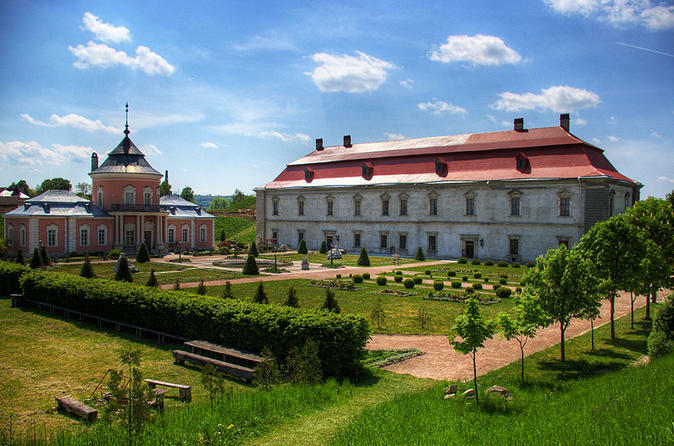 With a local guide, you will uncover the important events that took place in Zhovkva and see the most popular city’s attractions, including Zhovkva Castle, St. Lawrence Catholic Church, the Town Hall, and Vicheva Square. 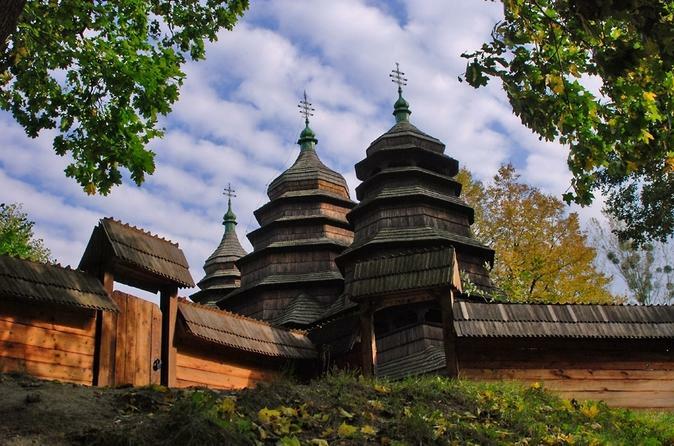 Another place of interest that you will visit is the Krekhiv Monastery of St. Nicolas situated in 13 km from Zhovkva, in secluded and magnificent forest.